We didn’t do it all. Not even a fraction of it all. SXSW 2017 Interactive was nevertheless a mind-blowing, nerd-loving, heart-expanding digital culture and idea-fest that left us with a lot to think about. Here are the people and ideas that inspired us the most. 1.When the heart of the machine responds. In “The Future of Emotional Machines,” Richard Yonck posed weighty questions about what our near future may look like with increased machine learning and artificial intelligence, which are playing more and more of both an underlying and overt role in our lives. Yonck’s particular expertise is in “affective computing and social robotics,” i.e. he’s focused on understanding what it means to imbue machines with human intelligence in such a way that they can measure and respond to human emotion. We loved the thorny issues that were raised by this subject, including the tension between greater freedom from mundane tasks and the loss of control and privacy that such intelligent machines may dictate. 2. Everyone deserves the internet. 3. Biden made everyone cry, for all the reasons. Joe Biden’s challenge to the design and tech industries to channel our creative energies into something other than creating and selling products and services was incredibly powerful and moving. 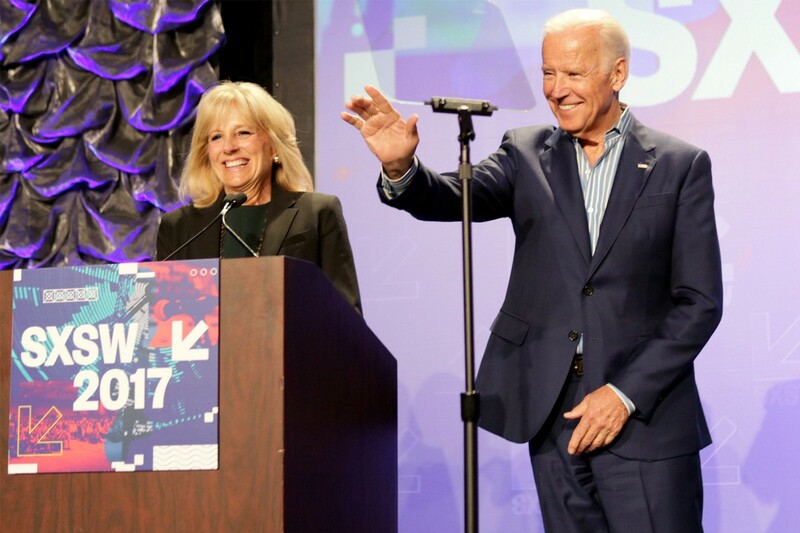 In his keynote session — “The Urgency of Now: Launching the Biden Cancer Initiative” — the former VP called for collaborative problem solving and the use of machine learning and big data to tackle the fight against cancer, which he deemed, “the only bipartisan thing left in America.” We were brought to tears in the best possible way and were thrilled to meet-and-greet the VP at the end of his talk. 4. Tiny dancers animate time and technology. Akinori Goto’s “toki — series #02,” described by the artist as a “sculpture of time,” was a piece in SXSW’s inaugural Art Program. 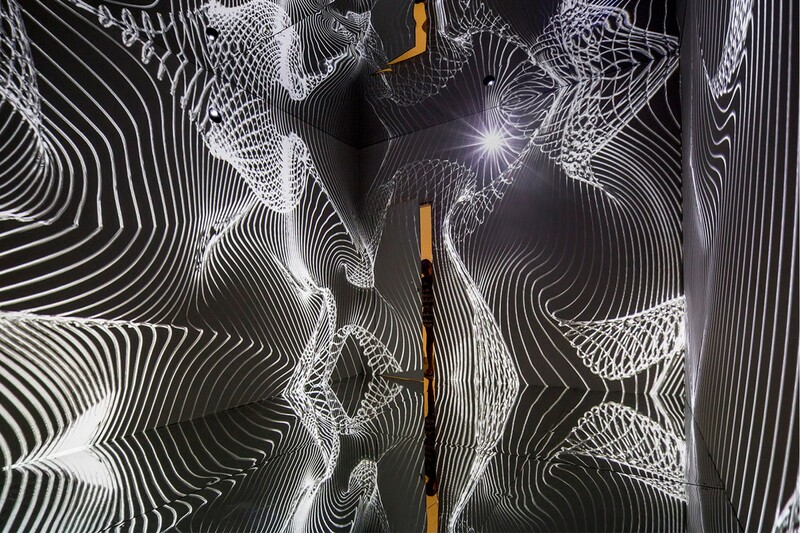 In this installation, the artist depicts time in relation to the movement of a dancer, whose gestures are projected onto a 3-D printed mesh sculpture. The effect of this kinetic light sculpture is a series of miniature animated dancing figures whose movements are meant to illustrate time unfolding. We loved the surprising visual and storied effect created by bringing digital technology to bear on creative practice. 5. Our brains, our health, our technology: a love story. “Mind the Machines: Neurotech and AI for Brain Health” was a panel that brought to life the digital health revolution that we are in the midst of. Not only are we increasingly able to bring the point of care to wherever the patient is, but mobile technology and machine learning are allowing care providers to reach underserved populations like never before, reducing barriers to care, and delivering hyper-personalized care via the ongoing gathering and analysis of data, called “digital biomarkers.” We left the session with new language and new ways of thinking about designing for digital health solutions. 6. Caution ahead: experience art at your own risk. Refid Anadol’s “Infinity Room,” was another piece in SXSW’s Art Program. The immersive audio / visual art installation that offered a surreal, dreamy experience that we went back for multiple times. Walking into a black box with mirrored floor and ceiling, after having been warned of the potential for physical duress due to strobe lights and possible claustrophobia, turned out to be a delightful surprise. We could’ve enjoyed the ambient sounds and constantly changing light patterns for hours, and we hope SXSW keeps building the Art Program in years to come. 7. AI is seamlessly stitching together our physical and digital lives. “AI for Good,” featured a variety of panelists with expertise in issues of governance, ethics, and privacy related to AI, as well as “smart cities,” and AI for business. The breadth of topics was fascinating and indicative of AI’s swiftly approaching and vast impact on every corner of our lives — from behind-the-scenes supply chain optimization to autonomous driving, to cities outfitted with sensors that stitch the digital world to the physical for the constant reading of and responding to data. Traffic, parking, pollution, and resource management — all are challenges that AI can assist with. However, while panelists were clear in their estimation of the value of machine learning and artificial intelligence to solve a tremendous array of challenges, they were also cautionary. We appreciated the balanced perspective that panelists offered when stating that AI is merely a means to an end and not an end unto itself. In other words, data alone doesn’t solve problems — it’s what we do with the data that matters. 8. Ready, set, go — the AI revolution is already here. “AI: How Tech’s Next Revolution Will Change Lives,” hosted by Diane Bryant of Intel, contextualized, in a very real and accessible way, the impact that AI is currently having and will continue to have on our lives. Bryant highlighted the three big enablers that are driving AI and causing it to be the next big revolution to drive societal transformation on par with the industrial, digital, and information revolutions: cloud computing, connectivity, and the principle of Moore’s Law, which predicts the ever reduced cost and ever increasing capability of technology. What we were most inspired by in this session was the focus on AI’s greater societal benefits — namely in food production and healthcare. 9. Editing and rewriting the genetic code like a Google Doc. Jennifer Doudna’s keynote presentation on CRISPR technology was a story of what happens when “science meets technology meets society.” Doudna, professor of molecular and cell biology and chemistry at UC Berkeley and one of the discoverers of CRISPR, asked the big questions related to rewriting genetic codes. As we now know, such editing and rewriting is entirely possible and is happening in applications around the globe — from using CRISPR to creating animals that are better-suited organ donors for humans, to curing disease, to creating gene drives within entire populations of organisms. With the power to now control our own evolution, the ethical challenges are immense and exciting and tremendously provocative. 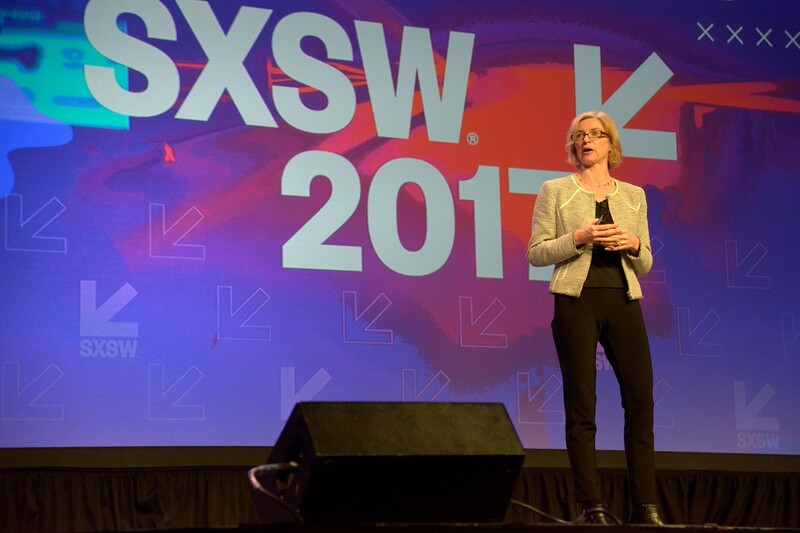 We’ve been huge fans of Doudna’s for a while now, and it was thrilling to hear her perspectives on such a world-changing biotechnology. 10. Thick data is the missing key ingredient to designing new experiences. Katharine Norwood is Group Strategy Director at Odopod and likes to nerd out on all things related to technology, art, design, and culture.